With the help of the SCC culinary program, Kitchen Spokane and many individual donors we are able to serve a 1000+ meals a month to those who are hungry on the streets. 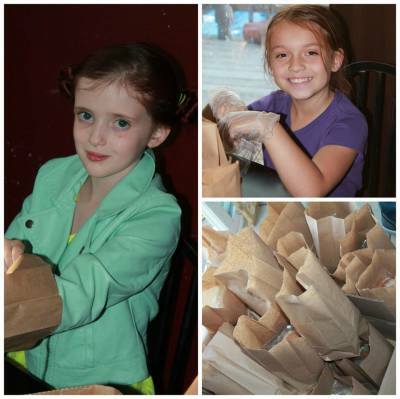 Our sack lunch program alone can provide meals for as many as 200 people a week. What is unique about our sack lunch program is we meet them where they are may it be under a bridge, in an alley or in front of the shelter that one on one interaction can be life changing! During the winter we prepare hot soups and set up in various places in the downtown area to serve. 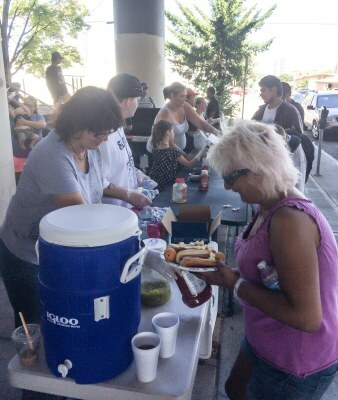 In the summer we do BBQ's so friends experiencing homeless are able to have something a little out of the ordinary. 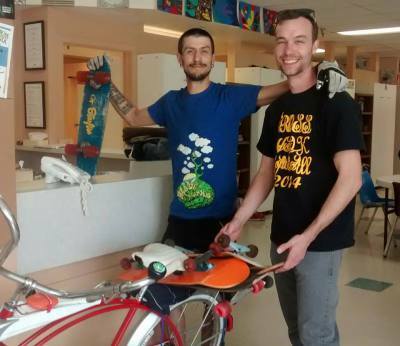 With help from Pistole Skate Shop, the Dirty Peddler's Bike Co-op, and Mosaic Community Bike Shop as well as many individual donors, we are able to refurbish used skateboards and bicycles to present to the youth at Crosswalk Teen Shelter who stay out of trouble and complete their G.E.D. or Diploma. 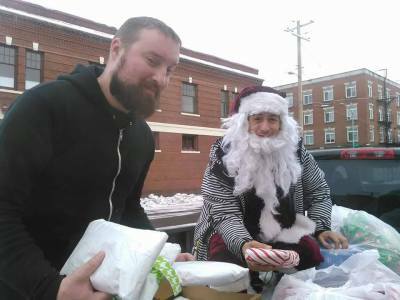 During the Holiday Season we start gathering donations that can be used as presents to be given out by Santa Claus (aka Billy). We were able to give out over 350 presents to our friends experiencing homelessness in 2016, Many who hadn't opened a present in years. We were also given the opportunity in 2016 to bring holiday cheer to a whole new group of people. The home bound individuals in our community that receive Meals on Wheels. With the donations from individuals we were able to provide 500 gifts to some of the most vulnerable people in our community. 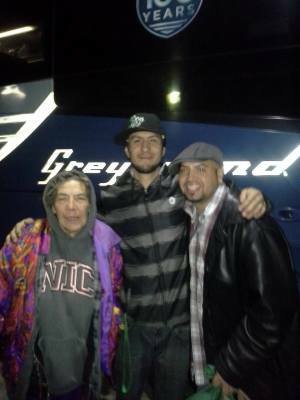 Following the lead of a fellow homeless advocate in Alaska, we offer the homeless and the community a means to reconnect with loved ones they may have lost touch with through social media. People can post pictures of people they are looking for or pictures of themselves in case their family is looking for them. Violet is a 9 year old with a passion for helping the homeless. After spending much of her early childhood in the hospital, Violet wanted to feel empowered and give back. To date Violet has sponsored over 900 meals, handed out over 12,000 pounds of food items, countless toiletry and clothing items, and more than 100 pairs of shoes! Violet has raised more than $5000 for local nonprofits, and is always looking for creative ways to give back. This past December, Violet provided more than 400 gifts to local children in need, and helped sponsor gifts for Meals on Wheels recipients. Through community and volunteer participation we are able train children and adults to grow their own food in order to become more self sustainable. 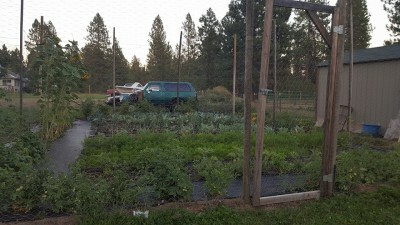 As part of part of our self sustainability training we will be using the gardens products to supply a farmers market stand and mobile concessions. Through these avenues we will be able to teach a sustainable business model.